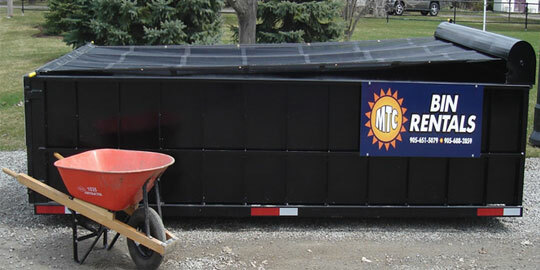 An MTC 14 cubic yard bin is easy to fill from its 3 foot high sides and barn doors that open up for you to walk in with a wheelbarrow or dolly. Our single axel trucks and style of bins leave no damage to your driveway surface. Special rates for clean fill or concrete!